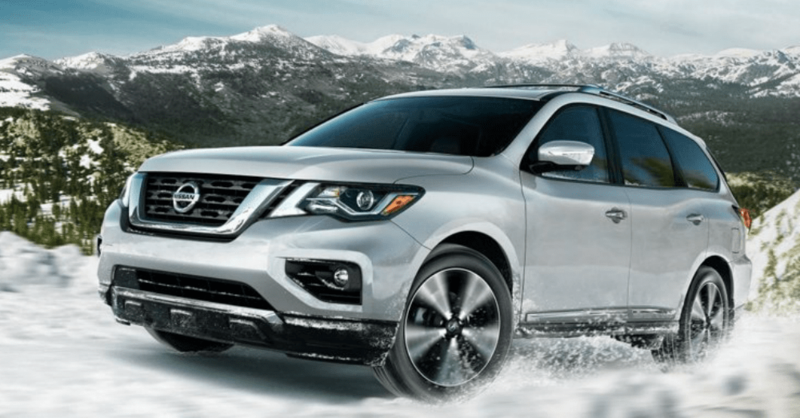 One of the most impressive and pleasant mainstream three-row SUV for you to drive and enjoy is the 2019 Nissan Pathfinder. Even though this is an SUV you’ve known for a long time, it does a great job of being an updated model that can be perfect for you to enjoy. Whether you’re looking for the right vehicle for your entire family or you want to experience an SUV that can head out on the trails and carry all your gear, the Pathfinder gives you what you’ve been after to have the drive that’s right for you. One of the most appealing aspects of the Nissan Pathfinder is the impressive engine that will be right for you to have the power level you want to enjoy when you’re on the road. This SUV gives you room for seven people to sit comfortably in order to make sure you can have the drive you’re after. Open the doors, take a look at the spacious cabin, and make the right choice with this SUV so that you can enjoy the drive that’s perfect for you on the road. Like Nissan’s other SUV offerings, such as the Nissan Armada, Murano, and Rogue, the Frontier was built with your convenience and satisfaction in mind. Nissan has made some upgrades to the 2019 version of the Pathfinder to give you more of what you want when you drive. This SUV now has rear parking sensors, a pair of new Type-C USB ports that join the four regular Type-A USB ports. Other items that are added include adaptive cruise control, blind spot monitoring, rear cross traffic alerts for the standard SV trim while LED headlights are offered on the top two trims. A new paint color is now offered for the Pathfinder which is Mocha Almond Pearl and it gives you the look you want for the drive. When you’re looking at the 2019 Nissan Pathfinder, you’re going to find that it comes in four trims which are S, SV, SL, and Platinum. The S is an amazing model that gives you 18-inch wheels, an eight-inch touchscreen, push-button starting, rear parking sensors, tri-zone climate controls, four USB Type-A ports, two USB Type-C ports, a six-speaker audio system, HD radio, forward collision mitigation, and Rear Door Alert. You’ll also have the benefits of the Easy Fill Tire Alert system to make sure you have the correct tire pressure. Every version of the Nissan Pathfinder can be had with AWD and the SV trim becomes eligible for more extras including blind spot monitoring, rear cross traffic alerts, adaptive cruise control, a navigation system, a heated steering wheel, heated front seats, heated side mirrors, and a towing package. The SL trim has leather upholstery, a motion-activated tailgate, 20-inch alloy wheels, a 13-speaker Bose audio system, and a dual-pane panoramic moonroof. The Platinum version gives you the rear-seat entertainment system as one of the extras and offers you all the items that are options on the other trims. The powertrain offered for the 2019 Nissan Pathfinder is one of the most impressive aspects of this vehicle. This award-winning powertrain gives you a 3.5-liter V6 engine that offers you 284 horsepower and 259 lb.-ft. of torque for the drive. This engine is able to give you the power you need to pull up to 6,000 pounds behind it as a trailer you can take with you. Choose either the FWD version or the AWD model and have the fuel mileage you’re looking for and the quality drive you need. Do you need a vehicle that gives you plenty of seating and the cargo area that gives you room for everything you want to take with you? Are you searching for the right way to head out on the trails in order to have a lot of fun in the wilderness? The 2019 Nissan Pathfinder brings you more of what you’re looking for so that you can enjoy every aspect of the ride that’s right for you. Visit your nearby Nissan dealership and let this SUV become the one you take home with you today.